This accessible book offers a vivid geographic portrait of Cuba, exploring the island’s streetscapes, sugar cane fields, beaches, and rural settlements; its billboards, government buildings, and national landmarks. 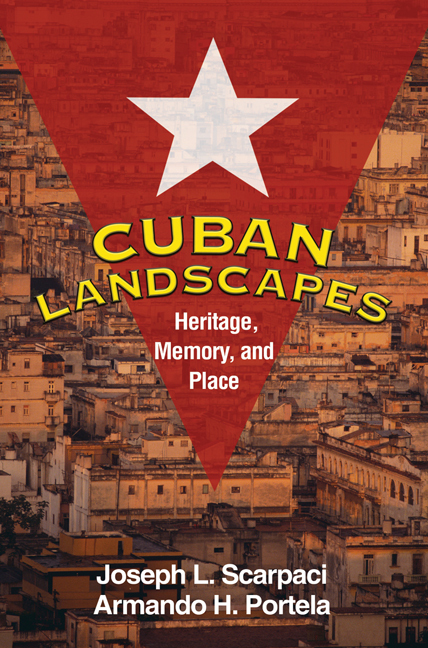 The authors illuminate how natural and built landscapes have shaped Cuban identity (cubanidad), and vice versa. They provide a unique perspective on Cuba’s distinct historical periods and political economies, from the colonial period through republicanism and today’s socialist era. Compelling topics include the legacies of slavery and the sugar industry, the past and future of urban development, and the impact of “islandness” on sociocultural processes.